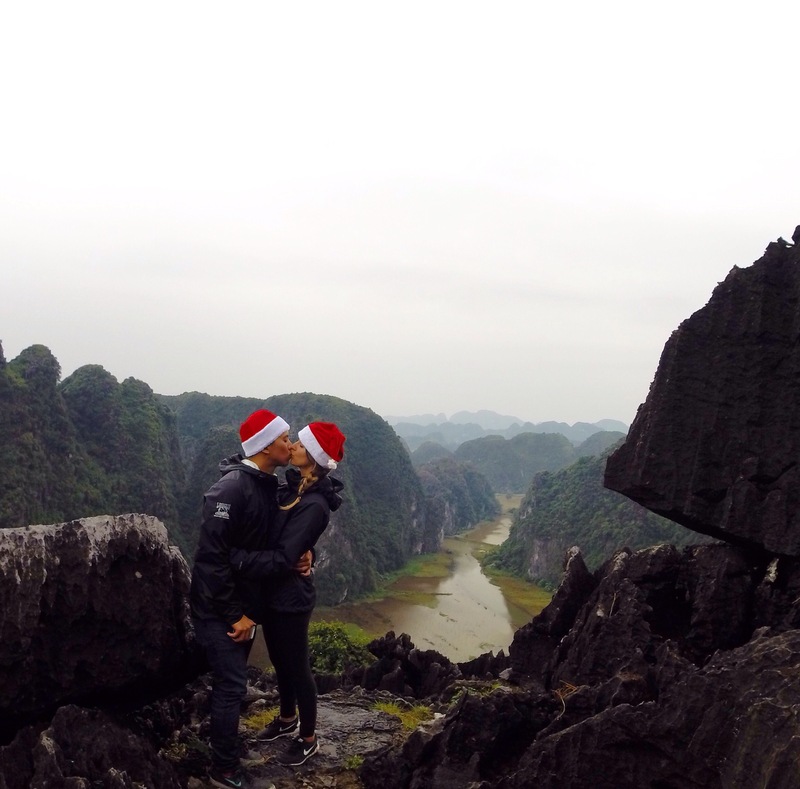 It was Christmas Eve and we were taking a two hour train ride at 9am from Hanoi to Ninh binh where we would be arriving at 11am ready for a nice three hour boat ride down the river and through the caves in Trang An. However, things didn’t go quite to plan. We arrived at 8:30am to be told our train was delayed til 10:30am due to an accident. We went across the road and had a coffee as we waited. At 10am we saw all the other travelers in the coffee shop rushing back to the train station, one guy told us he heard the train was leaving. So, we ran. We got on the train out of breath. It turns out the train wasn’t leaving and we sat on the stationary train for two hours before being told to get off. Apparently they couldn’t repair the tracks so a bus would be taking us to another station past where the incident occurred. We waited for over an hour for the bus, then drove for an hour to the other station where we would sit on the new train for over another hour before finally leaving. 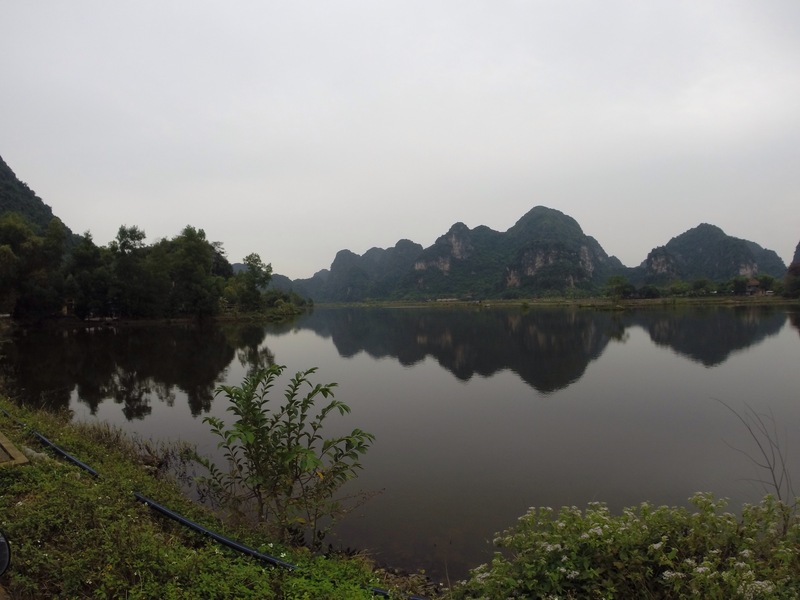 We arrived in Ninh Binh at 4:30pm. A two hour train ride had turned into 8. We were tired and grumpy, hungry, dehydrated and our whole day had been wasted. 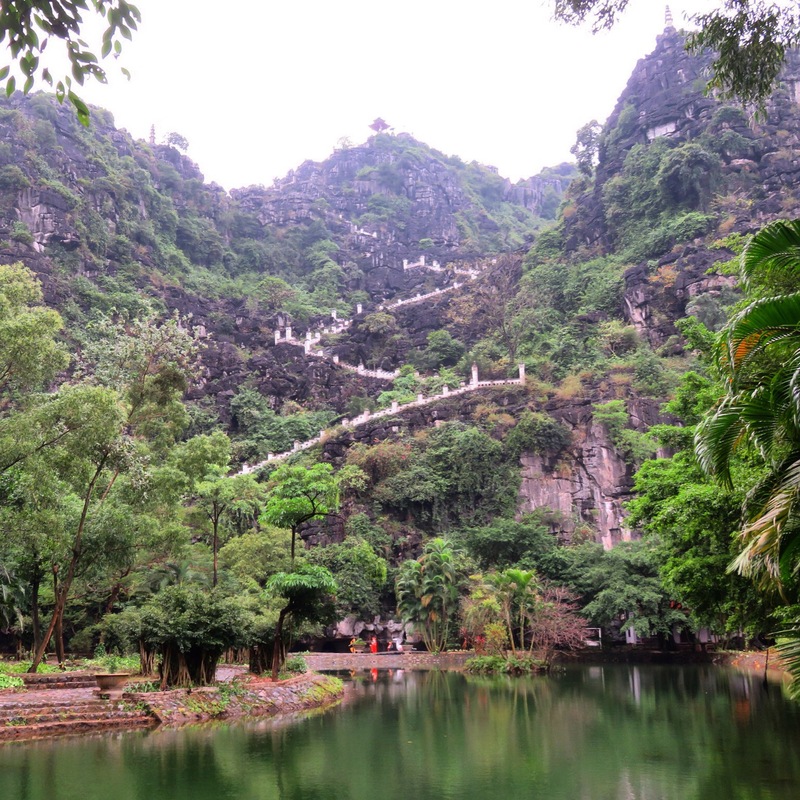 We now only had one day in Ninh Binh to get everything done. After a good sleep we woke up in much more positive moods. We woke up early on Christmas morning ready for our second try at the boat ride only to find that it was pouring with rain. We slept a little longer but woke to more rain. 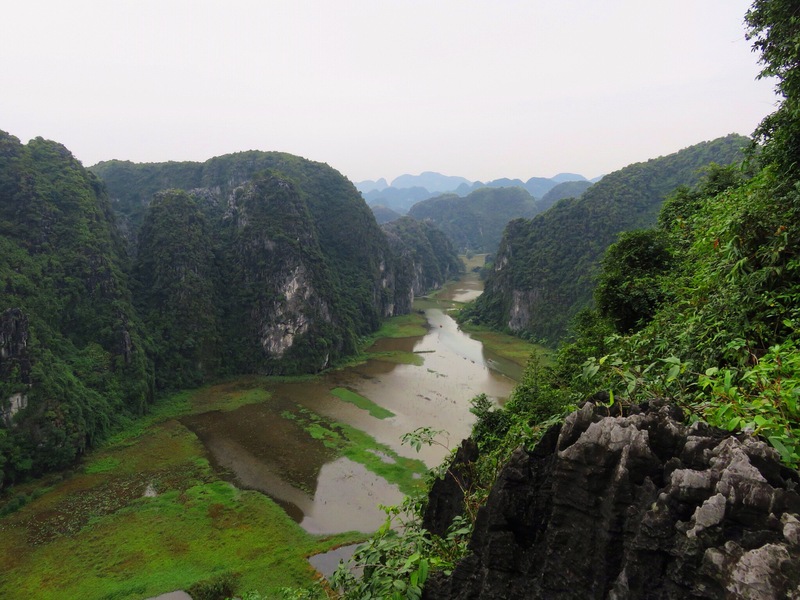 Instead, we decided to rent a motorbike and hike up to Mua cave where you can see Tam coc from above. It was cold outside and being on the bike in the rain made it even colder! The views on the drive out were absolutely stunning, I was in heaven. Views of lime stone karsts, rice paddies and water buffaloes surrounded us. By the time we reached Mua cave the rain had stopped. We hiked up the 500 stairs, stopping continuously to take photos of the view around us. It was so beautiful. We could see the river the boat takes you down in Tam coc. The mountains seemed to go on forever. We stayed up there for quite some time admiring the views and soaking it all in. The rain had started again so we thought the boat ride was probably not the best idea as the boats don’t have covers on them and we would be miserable sitting for 3 hours in the rain. 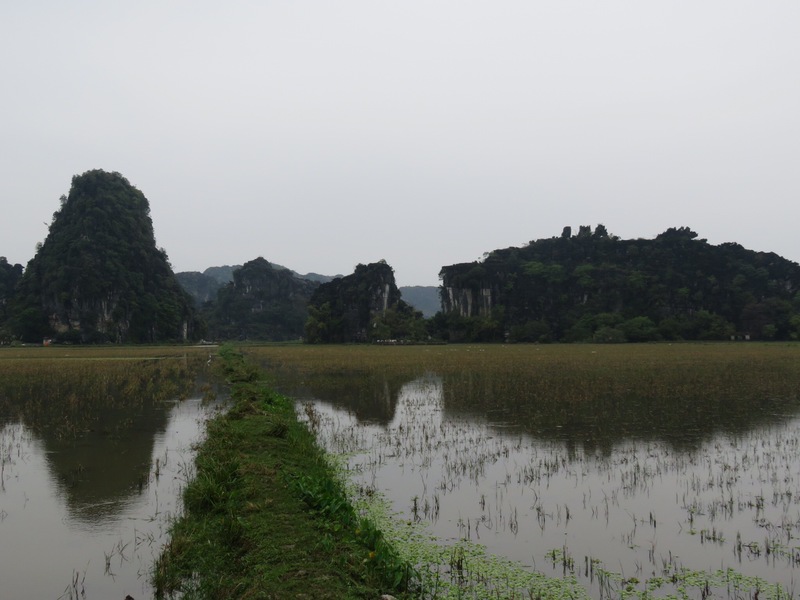 So, instead we drove around a little more on our motorbike and explored tam coc and its surrounding area. We saw lots of goats, pigs and puppies along the road as well as adorable Vietnamese children waving at us. There were also plenty more mountains to look at. 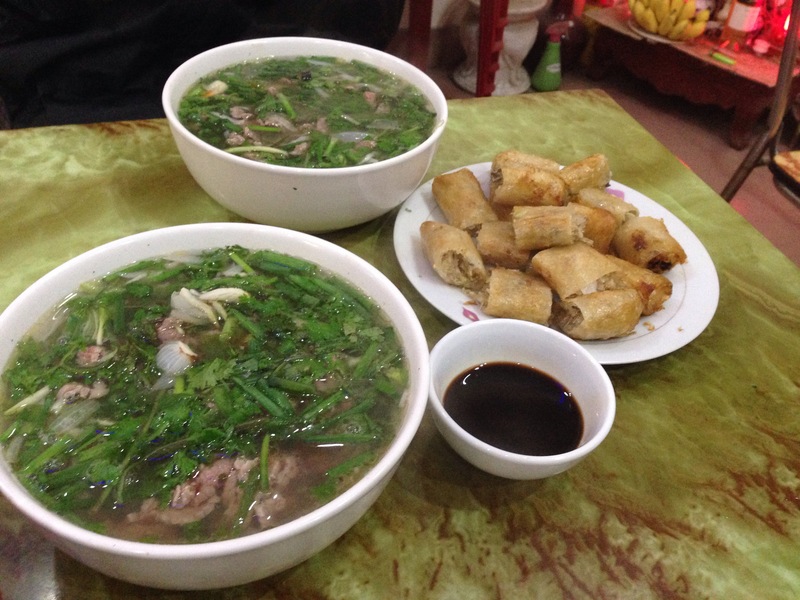 Once we were well and truly frozen, we drove back to Ninh Binh and had a huge meal of beef noodle soup and spring rolls. That warmed us up! Then it was back to our hotel for a hot shower, a Christmas Skype to our families and some fast food for dinner before going to bed. It was a cold, but amazing Christmas spent overseas. The next morning we boarded our train back to Hanoi (with no dramas this time). We both came down with the flu the following day and had to sadly cancel our trip to Sapa, the rain and cold weather had gotten the best of us. 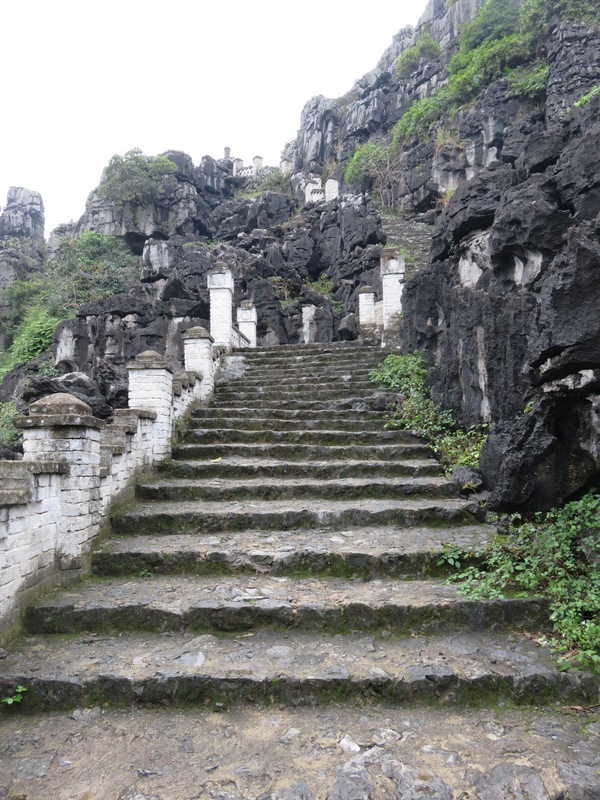 The stunning views of Tam coc and its surrounding areas was worth every sneeze, cough and sore throat that followed. Thank you, it’s such a beautiful place. The photos don’t even do it justice!